Today, we aren’t talking about snus. We also aren’t talking about chew bags. Today, we are talking about nicotine pouches. 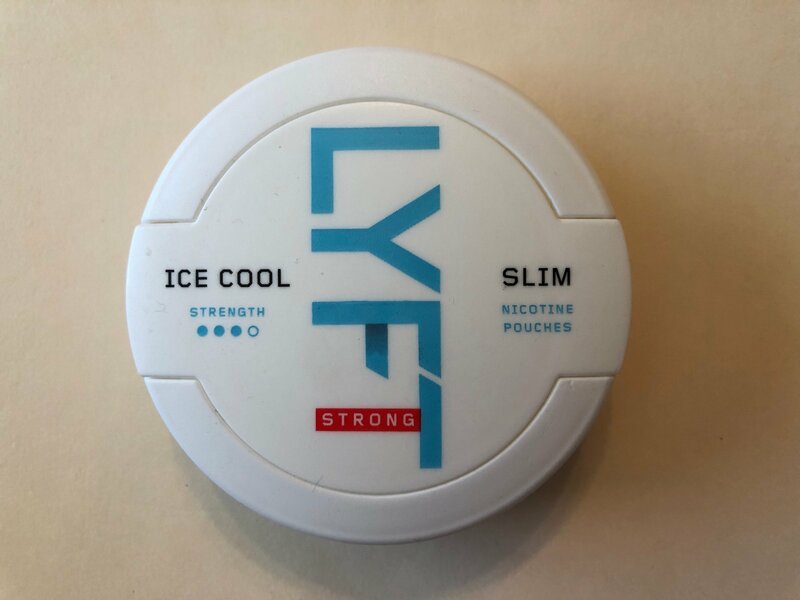 More specifically, Lyft Ice Cool Slim Strong nicotine pouches! These are products that contain nicotine, but no tobacco. 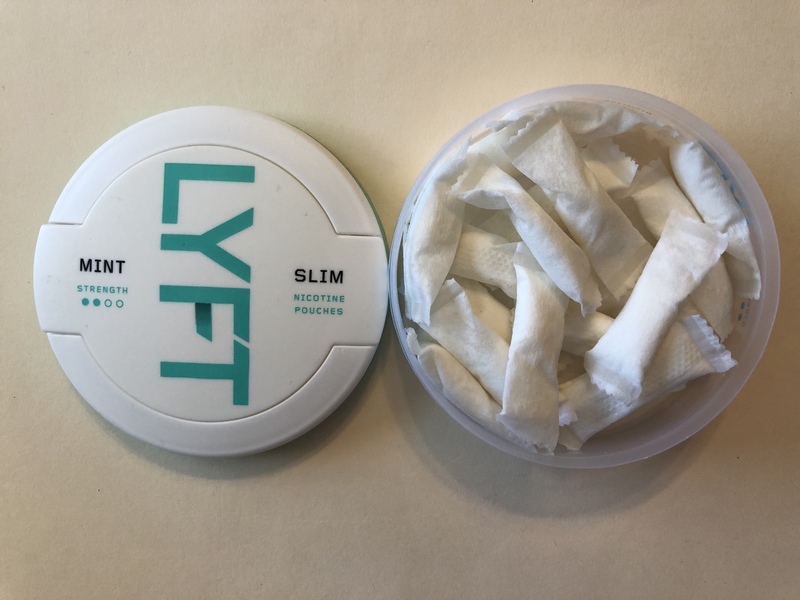 For the Lyft line, these actually contain eucalyptus and pine fibers. 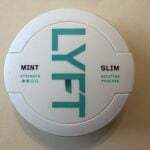 They look like snus, feel like snus, and release nicotine like snus, but contain zero tobacco. This is a growing new category for people who want to continue to enjoy nicotine, but may want to give up tobacco all together. 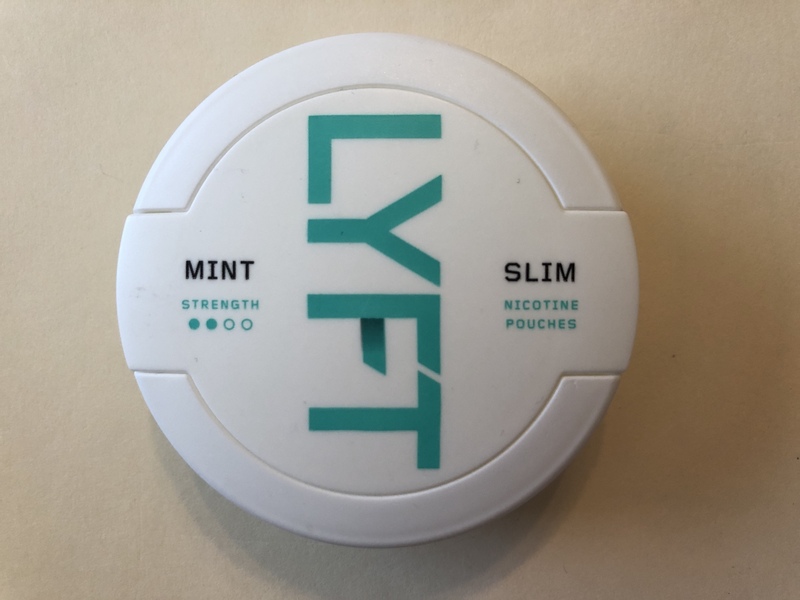 The flavor description for these says it has a “refreshing and crispy peppermint flavor with elements of sweetness and some herbal notes.” The can contains 24 nicotine pouches and comes with a nicotine strength of 14mg/g. When you open the can, you’ll notice it has a sharp, fresh, mildly sweet smell of peppermint! The nicotine pouches look and feel like regular snus in the lip; they are slim, and also soft! Being a mint product this one also comes with a nice cooling sensation when you put a pouch under your lip. The flavor is predominantly peppermint; it comes through in a very present way with a light sweetness about it. It’s a very refreshing flavor. 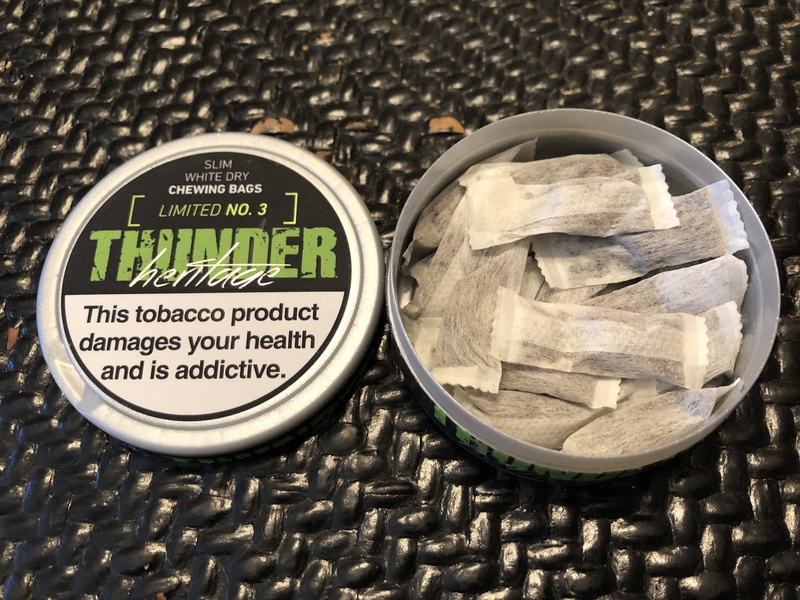 The nicotine feels to deliver the same way snus does, and this one feels to be well above the strong level, so expect a nice kick with this one! I find the flavor lasts a pretty good amount of time; usually I can keep one in for up to the 45-55 minute mark! 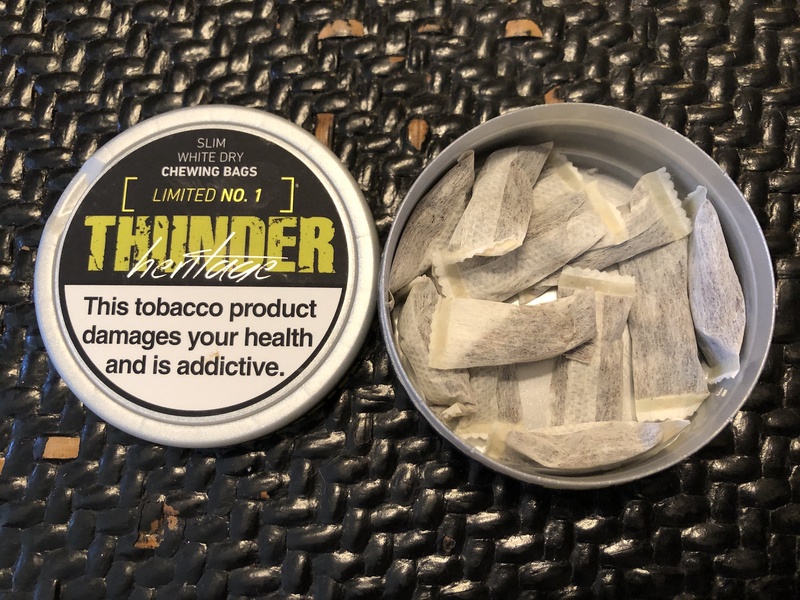 While these products may not be for snus users, or chew bag users, they definitely have a place on the market. 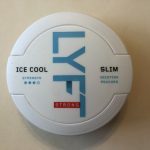 Lyft Ice Cool Strong nicotine pouches are a great way to still enjoy nicotine, but quit tobacco if you desire to do so. * THUNDER Heritage Limited NO. 1 – flavored with a fresh mint & banana aroma. NO. 1 gives a subtle cooling sensation when used. * THUNDER Heritage Limited NO. 2 – flavored with a fruity and spicy aroma. This creates an unique and new flavor experience. * THUNDER Heritage Limited NO. 3 – flavored with fresh mentha & lime aroma. NO. 3 gives a subtle cooling sensation when used. * THUNDER Heritage Limited NO. 4 – flavored with liquorice and peppermint aroma. NO. 4 gives a subtle cooling sensation when used. * THUNDER Heritage Limited NO. 5 – flavored a well-rounded pomegranate aroma. NO. 5 gives a subtle cooling sensation when used. 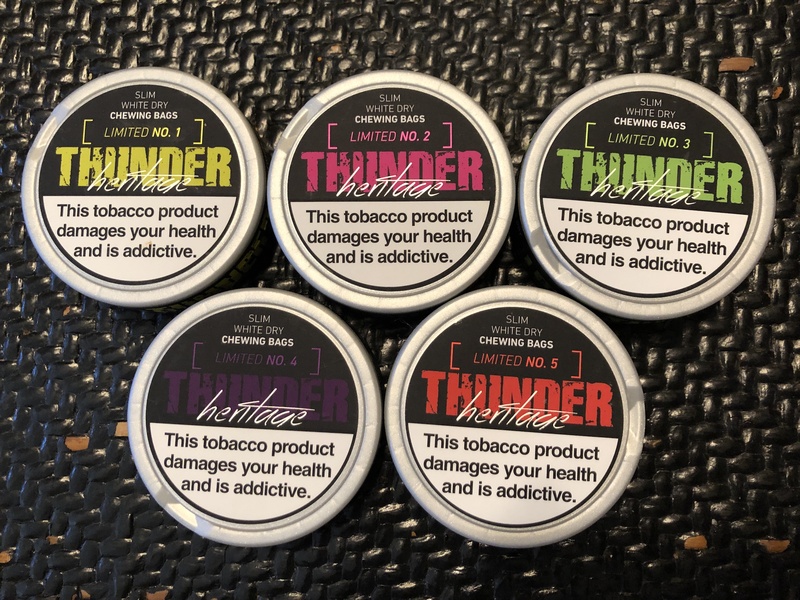 Each one of these products is at the extra strong level (16mg/g of nicotine), and a can comes with 24 white dry chew bags! The aroma of this one is a mild banana smell with a little mint in the background. The chew bags themselves are the white dry type, and come with a long lasting flavor due to that format, usually up to 1.5-2 hours! With this one, you’ll also encounter a fresh cooling sensation in the upper lip. The taste is very unique, and unlike anything I’ve ever had before. The banana flavor is mild, lightly sweet, and accompanied by a fresh taste of mint. It’s really good. The nicotine kick is quite strong, and delivers the extra strong level! Result:. Very unique flavor, and one I would definitely try again. This one is an interesting one. The aroma is kind of like a mild berry smell mixed with pink chewing gum. Now, with this one, I don’t notice as much of that cooling in the lip. The portions, again, are the white dry format and come with a long lasting flavor of up to 1.5-2 hours. The flavor reminds me a lot of pink gum, but like a subdued berry/pink gum flavor. It’s not overly sweet, but has just the right amount of sweetness. This one also packs the extra strong level nicotine punch! Result: Not the flavor I expected, but I enjoyed it nonetheless! When you open the can of this one you’ll notice a menthol smell right off the bat with a very mild lime smell in the background. This one does have a little cooling sensation in the lip, and the portions are the white dry format. That format, again, yields a long lasting flavor experience, usually up to 1.5-2 hours. The flavor is predominantly menthol, but with a light hint of lime in the background. It’s a pretty fresh flavor. The nicotine on this one, as with the others, is at the extra strong level. Result: A very interesting mix, but it works very well. I liked the fresh balance of menthol and lime. When you open a can of this one, there is a mild presence of black licorice, a light sweetness, and a gentle touch of mint. This one comes with a light cooling presence when you put a chew bag under your lip. It is also a white dry, so you’ll get a long lasting flavor you can enjoy up to 1.5-2 hours. The flavor is mostly licorice, which comes through as a mildly sweet black licorice flavor. The mint taste is gentle, and in the background. 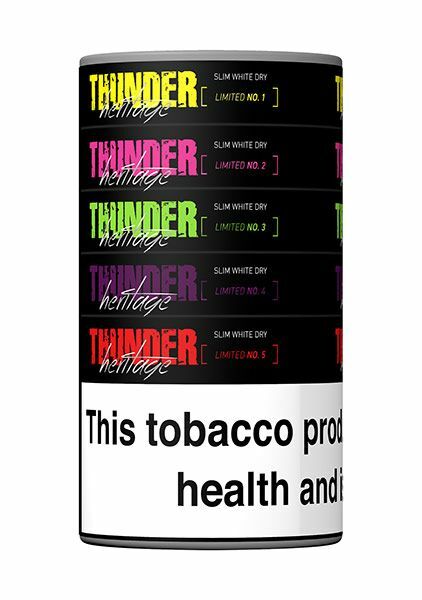 The nicotine on this one feels to be right at that extra strong level so expect a solid hit! Result: Licorice and mint is an interesting pairing. It’s not for everyone, but V2 did a good job mixing the two flavors together in this release. This one has a nice, mild, natural aroma of pomegranate. Pomegranate isn’t something you see very often in snus/chew bags, so I was excited to try it! With this one I didn’t notice much of a cooling presence in the lip. The chew bags are the white dry type, so as with the others you’ll get a long lasting 1.5-2 hour flavor experience. The taste, like the aroma, is a natural, mild, light flavor of pomegranate. I didn’t really notice much mint in the flavor of this one, though. The nicotine has that solid extra strong kick to accompany the nice flavor of pomegranate! Result: Pomegranate is not a common flavor in snus/chew bags, and I really enjoyed this one and would definitely order again. If you want to try something different, these are some interesting flavors. 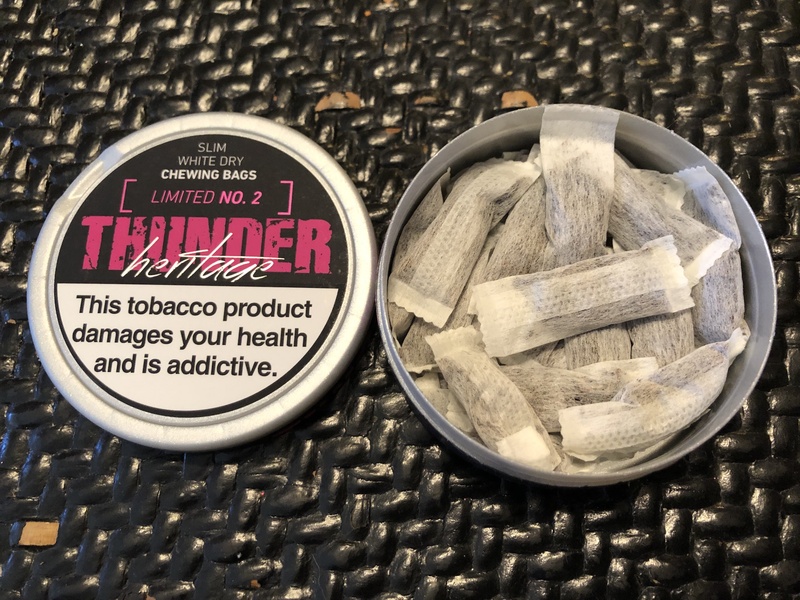 The Thunder Heritage line is also unique because it only comes in chew bags! I definitely suggest giving this line a go if you want to try something special, unique, and different! Offroad Original Loose is a product available for US consumers from the Northerner’s US warehouse. 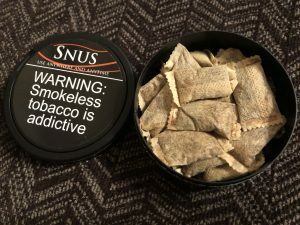 It’s also a snus that packs a budget price tag, so if you’re a price conscious snuser this may become your new favorite! 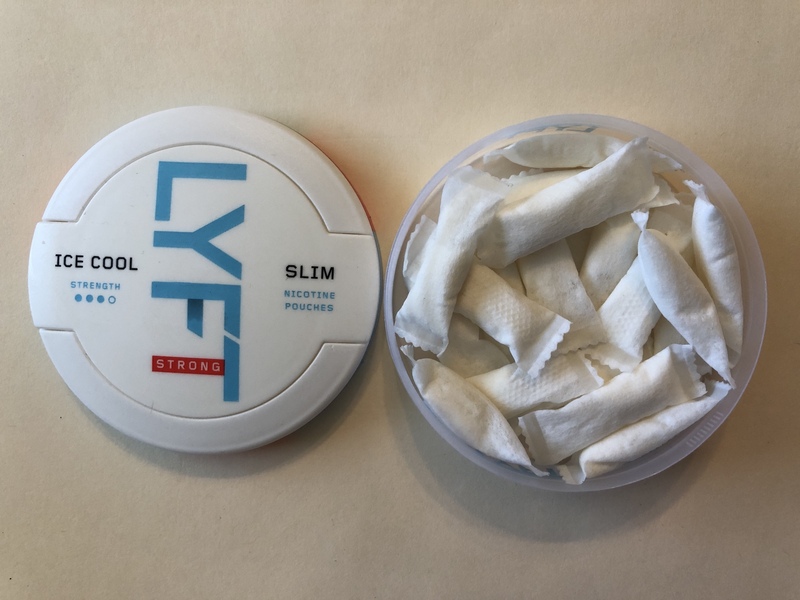 If you’re new to loose, or don’t own a snus portioning tool, don’t fret! This snus is quite easy to handbake. 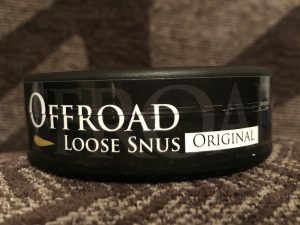 The flavor description for this snus says “Offroad Original Loose has a traditional tobacco flavor with hints of lemon and bergamot. 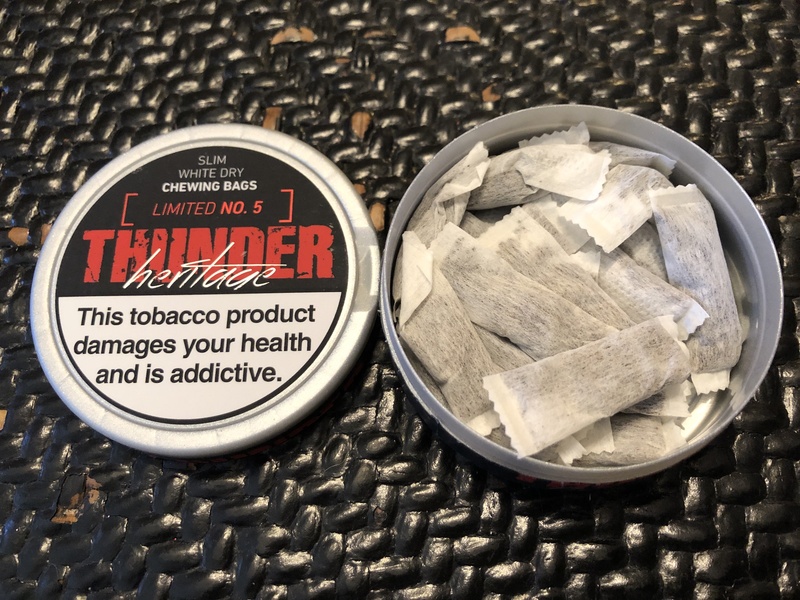 This is a moist loose ground snus.” It comes in a 37 gram can and has a nicotine strength of 8mg/g. 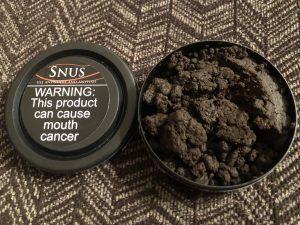 I was surprised with how easy to handbake this snus was. I was quickly able to bake a prilla and throw it under my lip. It stayed together really well and didn’t slide or break apart! The aroma of this snus is a mix of tobacco and citrus, with the citrus coming through as more orange/lemon than bergamot. The taste is much the same – an earthy tobacco character with hints of citrus which is, again, like an orange/lemon blend. The nicotine strength feels to be about regular strength, and the flavor lasts up to about 35-40 minutes on average. If you’re into loose, Offroad Original Loose is a good product to try. Nice taste, cheap price! If you’re a US consumer and want to try loose, this would be a good first product to check out. 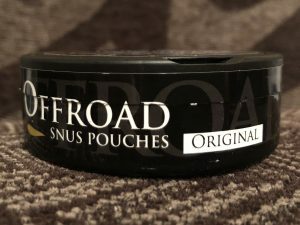 Today, we’re going to talk about Offroad, a budget priced snus from V2 Tobacco! This is a product available from the Northerner’s US warehouse for customers in the US! This product comes in two version, portion and loose. Today we’re talking about the portion version, and we’ll be covering the loose version in a few days. 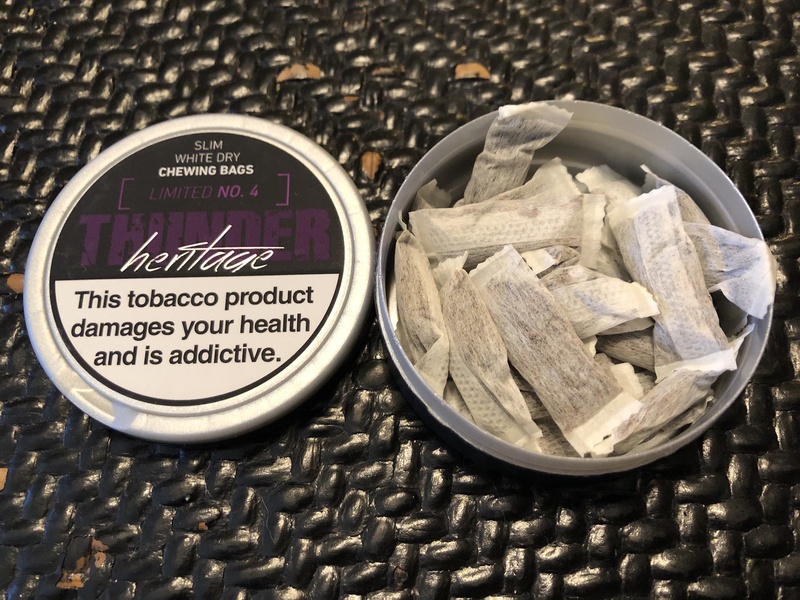 The flavor description for this product says, “Offroad Original Portion has a traditional tobacco flavor with hints of lemon and bergamot.” This snus contains 20 portions at 0.9 grams each and has a nicotine strength of 8mg/g! The aroma of Offroad Original is a smell of citrus and pepper, but the citrus is more orange/lemon than bergamot. The portions are plump, and soft! The taste is a lot like the aroma – citrus, pepper, and a little tobacco! The citrus, again, is more orange/lemon than bergamot. The nicotine is right around the regular strength level and I find the flavor to last about 45-55 minutes. 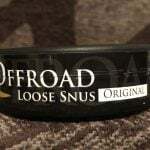 If you want a snus with a decent taste and a budget price, check out Offroad Original Portion! It definitely packs a solid taste with a low price tag.